IP finance: What price brands on the balance sheet? "Best practice in narrative reporting: an international perspective analyses 50 reports from the 2008- 2009 financial year, including the top 10 consumer marketing spenders from the USA, Europe and Asia, as well as a further 20 UK reports, representing top media spenders in the UK. Even though most of the companies state the importance of their brand they fail to provide enough information or analysis on why their brands are successful, highlighting a relatively untapped resource for marketers to show their credentials [Could they be coy in disclosing reasons for their success in case their competitors, unable to work the reasons out for themselves, suddenly realised them when reading their annual report?]. Just two reports out of 50 are the exception to this: Reckitt Benckiser in the UK and Procter & Gamble in the US. 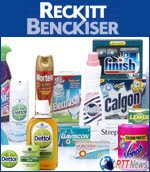 Reckitt Benckiser gave a great deal of coverage to its brand outlook and the strategy it has adopted to exploit its numerous brands, all of which brilliantly linked into the company’s overall strategy. It also distinguished itself by its use of KPIs [= "key performance indicators"] to explore its branding strategy. It had KPIs, over two years, on its media investment (media investment as per-cent of net revenues), on its brand positions (percent of net revenues in No.1 or No.2 brand positions), and the revenue from its top branded products. These KPIs offered metrics that provided strong factual support to the rest of the brand reporting narrative. Procter & Gamble’s marketing strategy is incorporated into the chairman’s message and throughout the report into the overall strategy. 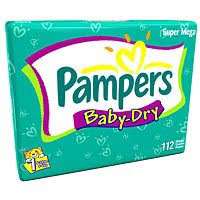 They also explain on a brand by brand basis how their focus on innovation, and understanding of consumer needs delivers value; for example, enabling them to create a flexible product and brand in Bounty, which offers sub-brands for different needs (cost, absorbency [how apt, for the company that brought us Baby Dry Pampers]), each of which can then be successfully marketed to different groups. A copy of the report will be sent to each IPA member agency, with further copies available at £10. Non-members can purchase the report for £25. The central difficulty is that IP valuations are too subjective to be included as an asset along with tangibles, which are more difficult to manipulate into inflated book valuations. In principle, it would be nice to see IP valuations on the books. In practice, it would invite a lot of skulduggery. If you need an illustration, consider the difficulties that have arisen in valuing another group of intangibles -- derivative contracts. There is an important role for those who understand IP value to play in corporate strategy. But the importance of that role should be justified in terms of contribution to increases in firm equity value or cash-flow. Putting IP onto balance sheets would be a step backward for IP advocates in the long haul. I agree that putting valuations on the balance sheet would be a mistake. Today this information is trapped in the income statement. We cannot remedy that but it is easy to create management reports that describe how much a firm is spending--the right starting point for a conversation about cash flow, returns and (yes) value.